We can supply the Ballast Water Treatment System according to the International Convention and Management of Ship’s Ballast Water and Sediments in 2004. 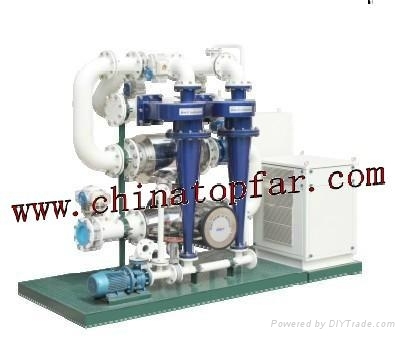 We can supply different Ballast Water Treatment Systems based on different technologies, such as: Mechanical filtration,Cyclonic separation,UV lights, Oxidation, De-oxygenation(inert gas or CO2), Electrolysis/electro-chlorination, Ozonation etc. Class certificate of CCS,DNV,BV,GL,KR etc can be provided as per your requirements. In case of inquiry, please provide us with detail data about your vessel: Type of vessel, year of built, ballast water tank capacity etc, then we will check and make quotation for you. Please feel free to contact with us at: info at chinatopfar dot com for any of your inquiry!